Total materials recycled: 3,593,956 pounds, or 1,797 tons! On average, our center receives 400 visitors per day. Total materials recycled: 3,496,000 pounds, or 1,748 tons! We had over 10% increase in the number of cars visiting our center daily in 2016, compared with 2015. On average, our center receives 400 visitors per day. 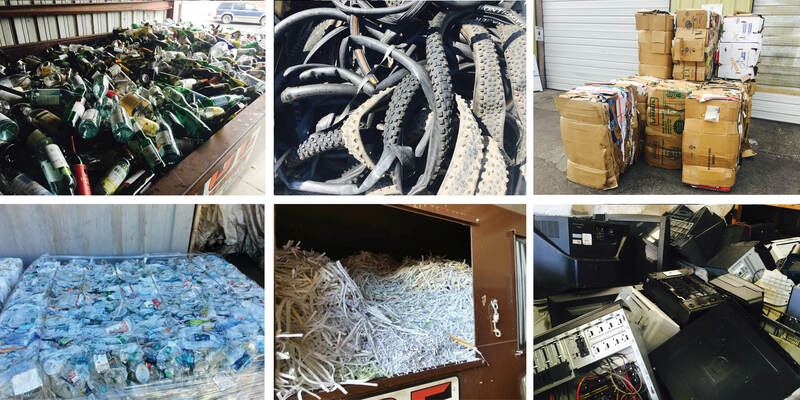 Total materials recycled: 3,519,000 lbs, or 1,759 tons! We also had an almost 20% increase in the number of cars visiting our center daily in 2016, compared with 2015. On average, our center receives 360 visitors per day. Total materials recycled: 3,248,930 lbs, or 1,624 tons! That’s enough recyclable material to fill 320 garbage trucks, or enough recyclable material to cover one acre of land, 6 feet high. 1,340,020 lbs (670 tons) of glass collected – that’s 81 truck loads! Specialty Items Collected : 1,541 tons!